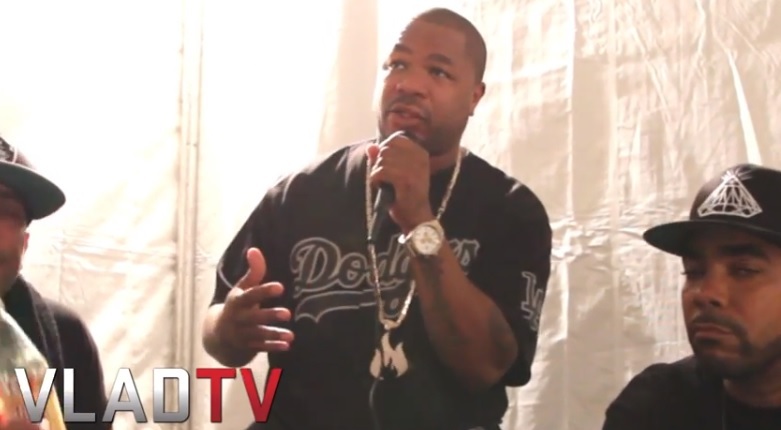 Vlad TV catches up with the former MTV Pimp My Ride host and Detroit native Xzibit backstage at the How The West Was Won concert. The rapper opens up and shares his thoughts on Kendrick Lamar’s controversial “Control” verse and explains to the camera that the Compton bred rapper’s aggressive move should be applauded. X to the Z continues with reassuring fans his upcoming collaborative project with Demrick and B-Real (Serial Killers) will be releasing soon as well as his solo album which is slated to drop sometime next year. This entry was posted in Interview, Video and tagged control, dj vlad, hip hop, how the west was won, Interview, kendrick lamar, MTV, pimp my ride, rap, tha alkoholics, Vlad TV, xzibit. Bookmark the permalink.